Today’s guest blog comes from Tyler Wright. 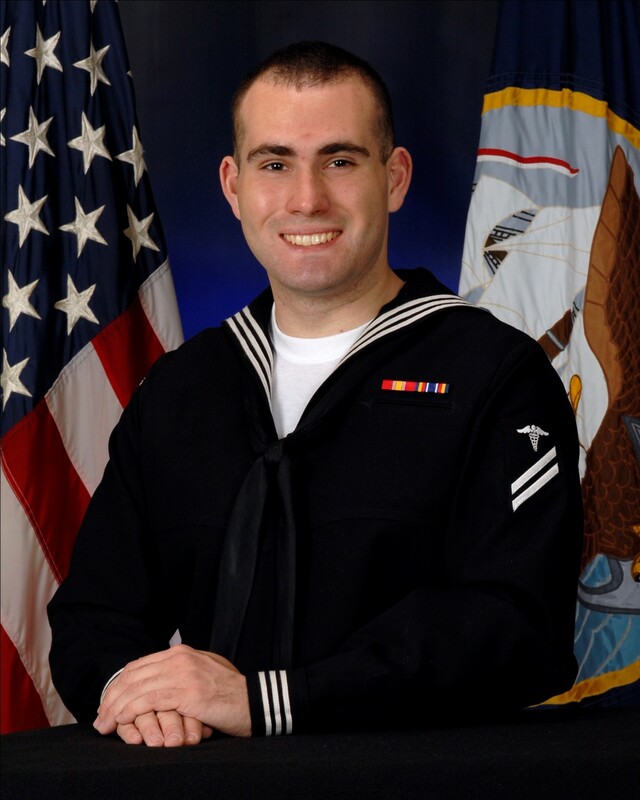 Tyler served in the United States Navy from 2008-2013 as Hospital Corpsman at the Naval Postgraduate School (NPDS), Bethesda, MD. HM3 Wright assisted in manufacturing and delivering craniofacial prosthetics to wounded warriors and cancer survivors, managed the second largest annual budget at NPDS, and co-created the Faculty Practice Dental Department. After the Navy, Tyler continued national service as an AmeriCorps VISTA member with the non-profit organization Student Veterans of America (SVA) in Washington, D.C. Tyler was subsequently hired by SVA as Senior Regional Outreach Director where he continues to “take the pulse” of the student veteran community, harkening back to his days as a Corpsman. I recall fumbling for the right excuse, and quickly dusting myself off from the ensuing embarrassment that followed—my justifications were transparent as tapeworms to a lit match! HM2 negotiated stealing me away from the department for an hour to get my life on track at the Navy College Office. “Use Navy tuition assistance or lose it. Your choice…” he said. At this particular junction in time, I had a mere three community college credits acquired before I had joined the Navy and a distant hope to one day obtain a college degree. Tyler with wife Blanca on graduation day before receiving his 2012 Master of Science in Administration (MSA) concentrating in Public Administration from Central Michigan University. Tyler attended graduate school at Fort Meade on the weekends while serving as an Enlisted Sailor. Fast forward four years later, and I am hanging up my uniform for the last time leaving the United States Navy behind as a Hospital Corpsman Third Class Petty Officer (HM3). Five years of leadership experience and complex medical expertise trailed behind me, yet I was genuinely nervous about the transition. I also entered the “real world,” as we called it, with a Bachelor of Science (BS) in Health Care Management, a Master of Science in Administration (MSA), numerous allied health certifications and all but one course completed toward a graduate certificate program. I put in long hours with the Navy and went to school in the evenings and weekends leaving me little time for luxuries. 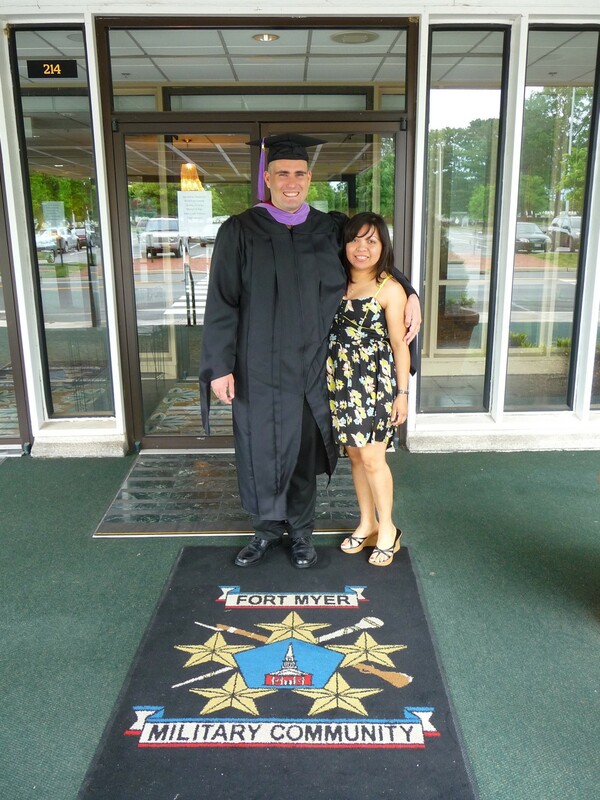 When I couldn’t tap into tuition assistance, I paid out of pocket. I also understood that while I had worked very hard in the service, I was also extremely lucky to be in a Command that encouraged professional development opportunities, and not all military orders allowed for academic enrichment. I felt obliged, and dare I say even some guilt, to give back to brothers and sisters in arms who were less fortunate than I was. I found myself shaking hands with a new group of passionate individuals somewhere in the heart of Washington D.C. not even one month after fulfilling my five-year Navy contract. 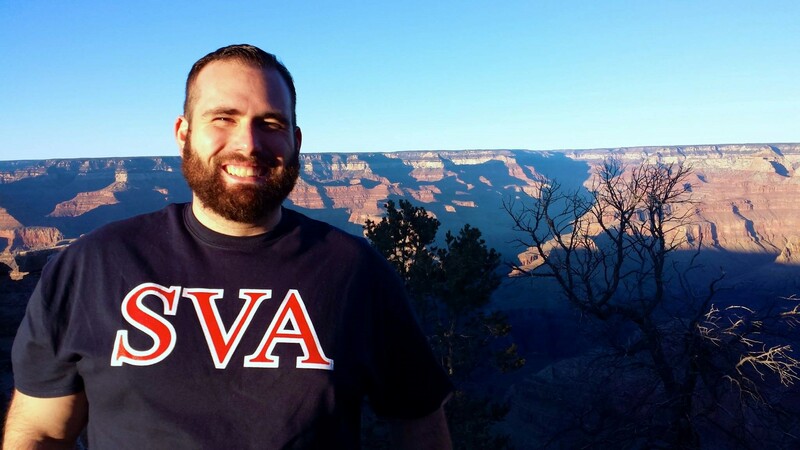 I was the newest AmeriCorps VISTA member serving the non-profit organization Student Veterans of America (SVA), a job that fit like a glove as I had the longstanding goal of serving veterans in all areas related to higher education. Who would have thought that AmeriCorps could offer more travel opportunities than Tyler’s time in the Navy? Winding down at the Grand Canyon after SVA’s 2014 6th Annual Nat’l Conference held in Scottsdale, AZ. AmeriCorps VISTA and SVA made it possible for me to pursue my dream, albeit grandiose, of ensuring that every single veteran coming behind me would be taken care of on-campus and guided in the right direction. I would be the guy that could navigate them through the G.I. Bill, CLEP exams, graduate admissions, apprenticeships, service school credit transfers… you name it. Now I was backed by the premier organization focusing on veterans and higher education! Not only did I work one-on-one with veterans and their families, but I also built capacity within the ever-expanding network of SVA Chapters established on over one-thousand campuses across the nation. They brought me veterans and gave me the tools to change lives … possibly even saving a few in the process. After successfully completing my year of AmeriCorps VISTA service, I was hired by my host organization as Senior Regional Outreach Director. I have a seat at the table among pioneers crafting and executing the next natural phase of the SVA legacy—literally making history. I also oversee a number of VISTA members with diverse and unrivaled talent, one of which is a recently separated Marine. Picture this: a Navy Corpsman and a U.S. Marine sitting side-by-side in a white-collar cubicle job for hours on end. Needless to say, the SVA Headquarters is not exempt from good-hearted interservice rivalry from time to time! 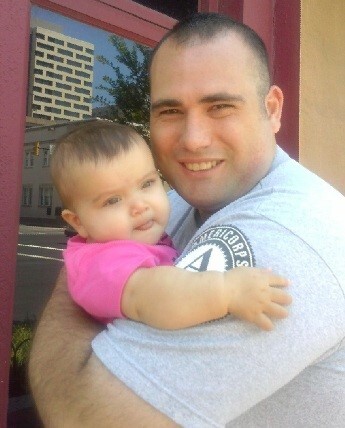 Tyler and his daughter Dyani spreading some good AmeriCorps VISTA vibes in Silver Spring, MD. I am truly thankful to AmeriCorps VISTA for granting me the opportunity to continue my life’s mission in delivering educational and professional opportunities to student veterans across the globe and ensuring that they are successful upon graduation. We live by the ethos: “Yesterday’s Warriors. Today’s Scholars. Tomorrow’s Leaders.” My United States Navy to AmeriCorps VISTA story is just one of countless in the veteran community that follows such a pipeline of national service to success. I encourage you to connect with the local Community College SVA Chapter and prepare to be amazed at the caliber of Tomorrow’s Leaders. Now I’m thinking about going back for my doctorate … Many thanks go out to HM2 Waite, wherever he is serving today, for being the mentor that I needed at the time. ← Happy #GivingTuesday — 5 Ways to Celebrate Today!